Songwriters who want to write hit songs need techniques that help them produce music that is both simple enough to relate directly to the masses, yet interesting enough to capture and hold their attention. This guest blog presents a couple of those techniques. When the term “phrase” is used in music analysis, most people assume it refers to both melody and harmony. This common misperception often causes songwriters to ignore the phenomenal interplay that can exist between the melodic phrase and the harmonic phrase. This interplay can most easily be observed in loop-based songs. Loop-based chord patterns offer you an easy way to unify an entire song. However, they also present you with the challenge of being able to create interesting music within a repetitious structure. The techniques presented here may help you to create songs that are as tantalizing as a hidden treasure and as demanding as an itch you can’t scratch. To demonstrates this, I am using a song that employs these techniques, the gigantic 2018, Maren Morris’s hit song “The Middle” written by Sarah Aarons, A. Zeslavaski, K.Trewartha, S. Johnson, M. Trewartha and M. Lomax. One of the first choices you make when writing a song with a loop-based chord pattern is the choice of the chords themselves. The chords you choose should feel good both harmonically and rhythmically. Be careful that the chord loop you choose does not too obviously define the tonal center. In “The Middle”, the common harmonies of I, IV, V are placed in the less traditional order of IV, I, V (Ex.1). This reordering of the harmonic progression creates a much-needed tonal ambiguity. The two-measure loop begins with the C chord (IV of the key of G) held for the length of one entire measure, while the G and D chords are each held approximately for only one-half measure, with the D chord’s anticipation of the third beat providing a welcome syncopation. Although the chord pattern may suggest the key of C Lydian, the song is decidedly in G Ionian (Ex. 2). We can observe this in the opening phrases of the song because the melody continually outlines the stable tones G, B and D (designated with asterisks) of G major, not the stable tones (C, E and G) of C. This memorable melody in G resides on chords that do not reinforce its stability—and the resulting tonal contradictions produce delightful dissonances that make the music interesting. If the melody were to be reharmonized with the more traditional progression, the tonality would be firmly established and concordance between melody and harmony would result in tonally bland music (Ex. 3). The melody of “The Middle” often rhythmically works against the simple repetitive two-measure harmonic phrase. If the melody’s phrase length had always closely coincided with the harmony’s phrase length, the music would have become monotonous. Instead, in both the verse and chorus, the melody begins with a one-measure phrase followed by a two-measure phrase. The second melodic phrase of the chorus begins on the G chord and ends on the C chord, metrically contradicting the harmonic phrase and causing the listener to hear the music in a fresh way (Ex. 4). This technique is not only found in loop-based songs but is found in a number of well-known songs from other eras. One that I analyze in Great Songwriting Techniques is Paul McCartney’s masterful “Here, There and Everywhere”. Addendum: After this detailed analysis of “The Middle”, you might wonder why I haven’t addressed the importance of the production to the success of this song or how the chords are often not complete, and sometimes occur with only the bass notes implying the harmonies, etc. I heartily agree that the success of this song was partially reliant on the production, as are many contemporary pop productions, but I also believe that the song would not have been recognized as worth recording if the magical interplay of melody and harmony were not apparent from the first time the song was heard by the producers. 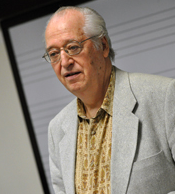 Jack Perricone, Chair Emeritus of Songwriting at Berklee College of Music, is author of two books on songwriting, Melody in Songwriting published in 2001 by Berklee Press/dist. by Hal Leonard Publications, a staple of songwriting courses taught throughout the world, and his recent Great Songwriting Techniques published in May 2018 by Oxford University Press. Unlike many songwriters, Perricone is academically trained with degrees in both Music Theory and Music Composition. As a successful songwriter, he co-wrote (with Paul Vance) and arranged a top five Billboard charted pop song (“Run Joey Run”, 1975), had his songs recorded by many artists, including Michael Jackson, Lou Rawls, Jerry Butler and Angela Bofill and has written charted songs in multiple genres including pop, country, dance, and R&B. His formal music education combined with a successful songwriting career led him to become the first chair of a songwriting department offering a B.M. in Songwriting at the famed Berklee College of Music, a position he held for 27 years.